In the new century, a successful automated chicken feeder of poultry cage system will contribute to money for the poultry farmers under a varieties of conditions. The function of automatic chicken feeder is to feed baby chicks, broilers and laying hens. Most feeders will handle any kind of these feed and operate it successfully under the help of any kind of the usual litter materials. On account of the machine to work under all those diverse conditions that needs a very big range of flexibility. 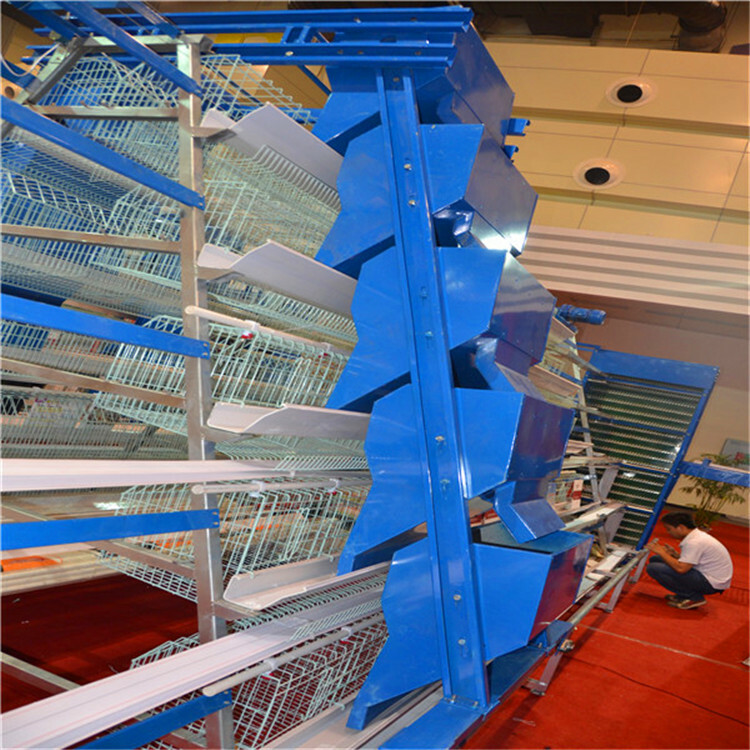 An ideal pattern of automated chicken feeder for a poultry system of medium and large size is the prevalent Livi Machinery automated chicken feeder. It is possible to adjust or control the amount of feeds delivered by machine to each chicken. Baby chicks naturally will consume more less than laying hens. Thus, the automated ladder type feeding machine must decelerate the amount of feed going from the hoppers to the feeding chain. Feed are conveyed to feed hopper by feeding trolley system. The automatic chicken breeder runs back and forth that is more stable and even feed dosing. And the feed quantity can be adjusted to avoid feed waste and keep the energy saving, in addition, you should know that there are return feed device to return the feed in the two ends of the feed trough. With the help of Livi feeder, we can guarantee that you will take less maintenance and less eletricity consumption will bring you more profit and save energy.